You don’t need the performance package on your 17-foot luxury barge. You just don’t. That’s the God’s honest truth that struck me after my time with the Lexus LS 500 F Sport. It’s a lovely vehicle for sure, with a lovely motor, but you’re out of your damned mind if you bother paying for the F Sport package on something that takes up more space on this planet than Wales. Even its name is giant. 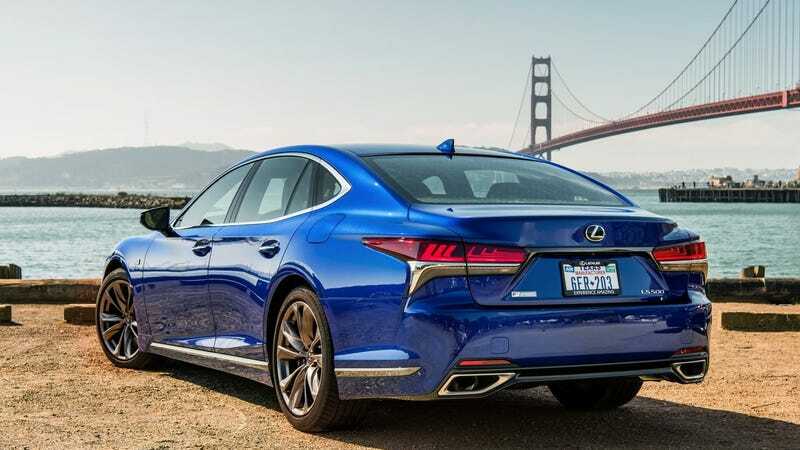 I have to hit the spacebar four times when I type Lexus LS 500 F Sport, which is good because you’ll need four spaces to park it without sweating. But size isn’t a bad thing. “Gigantic” is the only size you should expect when you’re knocking on the door of $100,000 in the luxury sedan game. What is a bad thing is trying to fight that size with thousand-dollar packages that can’t fight physics. I’m picking on Lexus, but everyone’s guilty here. Cadillac, BMW, Mercedes, Audi and more are all more than happy to offer “sport” versions of cars that have the same sporting pretensions as Danny DeVito. Now, I’m not talking about actual performance barges like the Mercedes-Benz S63 AMG. Those are ridiculous and absurd in a way that I think is entirely appropriate. But the lame half-steps they offer are counterproductive. Anyone who buys an S 450 AMG Line, though, is as financially savvy as the Russian guy who decided to sell Alaska to the U.S. for 8 dollars and a bag of potatoes. Because what you’re doing is paying more money to make your car worse at its job. A flagship luxury sedan is designed to provide the best ride imaginable, which you then go and ruin by speccing 20-inch S-line wheels and “sport suspension,” whatever the hell that even means. Since the car is 17 feet long, it still doesn’t corner particularly well. Hey, at least your ride is significantly worse. Oh, and you’re out—in the case of Mercedes—$5,900. Sad! It gets worse, though. On some of these mega-yachts, it isn’t enough to charge you more for a worse vehicle. They also lock customers who opt for the sport package out of more desirable, luxurious options. That’s right: if you have the poor taste to pick the F Sport model of the LS 500, Lexus deems you unworthy of the executive package. That means no recliners in the back, no massages, and no super-awesome glass trim with fabric accents. Oh, and your interior has to be black or red. Because sports car. Well, good. Serves you right for making such a bone-headed decision. Had you followed my advice, you’d be safe and secure in the knowledge that you are buying a car for something it is, rather than trying to option it into something it will never be. And you’d be getting a massage.